Chromatic Club has been bringing music to WNY audiences for 120 years!, making Chromatic Club Buffalo’s oldest active music organization. 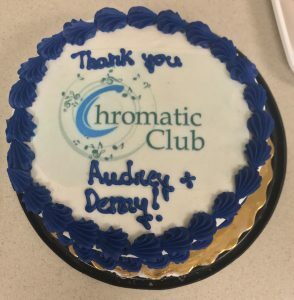 Chromatic Club sponsored the first professional orchestra concert in the city, an event that led directly to the creation of the Buffalo Philharmonic Orchestra. Chromatic Club was involved in founding Community Music School, an important educational organization the Club continues to support. If you have questions about our organization, you can fill out our information form here, or email us at info@ChromaticClub.com.